How does VR Equipment Rental Work? For several centuries, technology has continuously developed. One of its recent innovations is the creation of virtual reality (VR). Virtual reality allows players to experience events in an upgraded whole new level. This allows users to perceive a situation to be happening in real life although it is not really happening at the moment. With the increasing number of gamers, purchasing the equipment and supply would not be that easy especially with its cost. 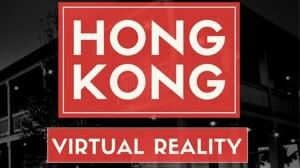 This opens a good opportunity to avail vr equipment rental. Without spending much, a one of a kind virtual reality experience is waiting for you. What are Virtual Reality (VR) Games? In virtual reality, a three-dimensional artificial environment is applied to computer games. Virtual reality allows users to experience a situation that appears to be near reality. These games promote bonding for families and friends and improve their social interaction while challenging both their physical and intellectual strengths. What are the Types of Equipment Used in VR Games? 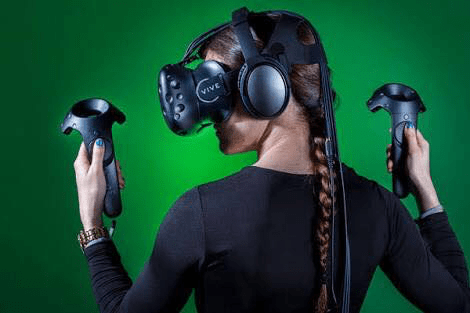 With 70 sensors to offer a 360-degree head tracking as well as a 90Hz refresh rate, htc vive has been the choice of many. HTC vive has a lighthouse room tracking that enables the users to move around with the headset while still in place and still able to function efficiently without change. Moreover, there are designs made that are wireless to allow greater flexibility for users. With these features, it is worth it to buy or rent htc vive. The newest edition, oculus rift, provides a 2160 x 1200 resolution and a 90Hz refresh rate. Oculus games have been consistently increasing its fame too. Developers have also offered lower prices, especially now that Oculus touch controllers are included in the headset. With these features, it would be more motivating to buy or rent oculus. PlayStation VR has been popularly known because it is lower in price and is compatible with PS4. The player using the headset acts separately to the other players with a headset. This has a 5.7-inch panel with a display resolution of 1080p. This has been built especially for Android smartphones. This also comes with motion controllers. This will allow better visualization of the games and controls. This will be used in conjunction with the VR headsets and other equipment used. Vive and oculus provide 2 controllers with the purchase of headsets. Controllers would allow manipulation by the users during the game. How to Rent VR Equipment? Due to the mainstreaming of VR games, vr equipment rental has been becoming more and more popular. The question that most people want to ask is how to rent VR equipment? First, you have to know what equipment would you need in accordance with the game you wanted to play. You could also ask advice from where you are renting about the best they could offer and the how to use the equipment. Second, after deciding what you need, contact and maximize the use of the internet for the availability of VR equipment rental. There are different brands and prices they could offer. Choose according to your preference. Don’t forget to ask everything you want to know in order to make things clearer. Third, contact the vr equipment rental company or personnel and inform them that you wanted to rent htc vive, rent oculus etc. or to rent any vr equipment. Coordinate regarding the date of payment, date of borrowing the items and the date of return. Make sure that the equipment will be returned the same way it was borrowed. Coordinate also regarding the delivery schedule and fee as needed. Fourth, on the day the pieces of equipment are brought to you, make sure to have a trial with the side of the rental company/personnel. Raised immediate concerns as needed so that replacement and bargaining could be done as soon as possible. With vr equipment rental, you could save more as compared to purchasing the equipment. This will allow users to experience VR first hand without spending too much. VR promotes social interaction between gamers but by renting it and placing it in the house or in a room, opportunity to bond and spend time together with your families and friends would be increased. You would be able to have fun together with the people important to you. Virtual reality games could be rented and used for demonstrations of products at shows and conferences. It could also be used for virtual meetings to better get the attention of the attendees. Moreover, VR equipment could also be used in providing more creative and interesting site surveys; this would open doors to attract more respondents. Virtual Reality is what should a person living in this century experience. This will create a memory that will last a lifetime. In order to be able to enjoy virtual reality without spending much, renting virtual reality equipment is the win-win, easy to process solution available. shadowfactory1 on How does VR Equipment Rental Work? Arlyn victoriano on How does VR Equipment Rental Work?